Only 4 days to an accepted offer! The Pizzo Johanson Team helped their clients sell their home this gorgeous 3-bedroom Colonial located near town center and commuter routes. The Pizzo Johanson Team guarantee fast response to inquiries, flexibility and availability with appointments, and above all, exceptional customer service! Whether Buying or Selling a Home you can trust The Pizzo Johanson Team to assist you with all your real estate needs! Get moving and call them today! Searching for a Condo on the North Shore? 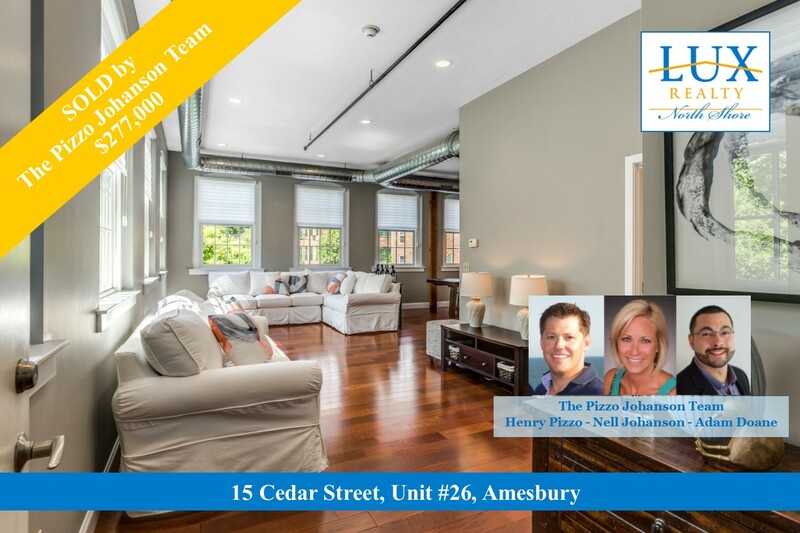 The Pizzo Johanson Team just sold this contemporary Condo with a fabulous open floor plan in downtown Amesbury. Their sellers had an accepted offer in just 8 days and sold their home for $12,000 over asking price! The North Shore condo market is hot and buyers are looking for homes just like yours. If you are thinking of selling your home, call The Pizzo Johanson Team today and let their experience work for you! Thinking about making a move? 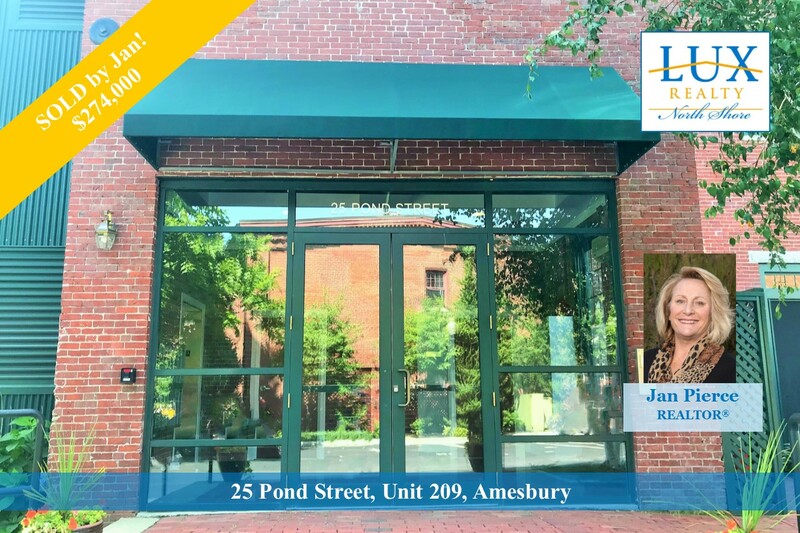 LUX REALTOR® Jan Pierce helped her buyers purchase a beautiful Townhouse Condo at the popular Carriage Lofts Condo complex. Located in the center of town, this one-bedroom unit offers spectacular river views and features 1,176 sq. ft. of living space, in-unit laundry, and 1-1/2 baths. If you are curious about the value of your home in today's market, get moving and call Jan today! The market is moving.....are you? 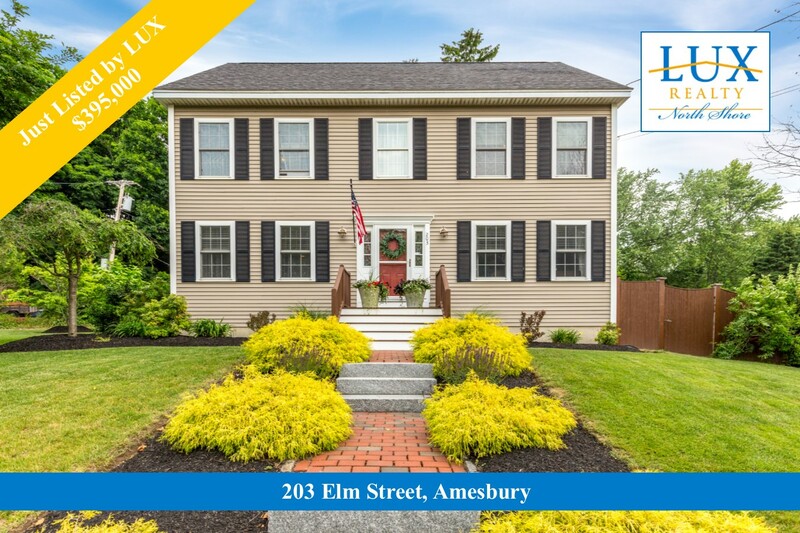 The Pizzo Johanson Team just listed this pristine Colonial in Amesbury. Built in 2005, this newer home features an open floor plan for today's living with hardwood floors throughout the first level. Spacious and gracious, this home offers 3 bedrooms and 2-1/2 baths and a finished 3rd level with endless possibilities! For more information call The Pizzo Johanson Team or click on the photo! Newly listed by The Pizzo Johanson Team! Fabulous contemporary Condo located at The Lofts at Clark's Pond. 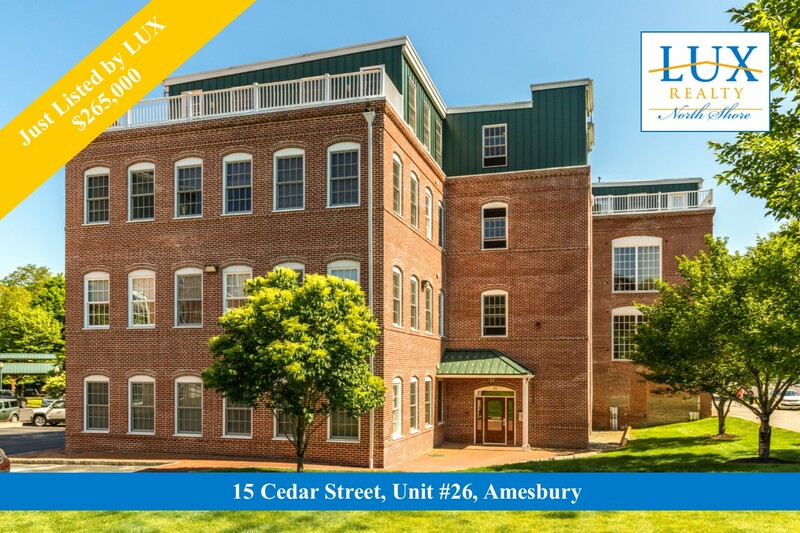 Soaring ceilings, exposed brick and beams are just a few details of this beautiful unit. Ready to downsize and enjoy maintenance-free living? Get moving and call The Pizzo Johanson Team today!